FINAL CALLS FOR EIBTM 2011 TECHNOLOGY WATCH AWARDS ENTRIES. Just two weeks left for organisations to enter the EIBTM Technology Watch awards scheme which would close its entry on September 2nd. It acts as a major opportunity for companies to demonstrate new and innovative technology solutions that make a real difference to the meeting and event planner’s.It is free to enter and the most recognised company for technological innovation, voted by the judges, gets a stand within the Technology Village @ EIBTM 2011. The winner will receive publicity through the EIBTM Show Daily and a chance to do business with the Hosted Buyer, trade visitor community and to meet the global industry media that attend the show. They also get to present their winning technology at the end of a technology hour education session. The judging will take place on Wednesday 5th October 2011. ASTA came out in strong support of the travel agency industry in response to the statement of President Obama regarding how the internet has replaced many jobs among the travel agents. ASTA informed the President how important the U.S. travel agency industry is; it is comprised of nearly 10,000 U.S.-based travel agency firms operating in 15,000 locations with an annual payroll of $6.3 billion. Most importantly this business produces full-time employment for more than 120,000 U.S. taxpayers. The U.S. travel agency industry processes more than $146 billion in annual travel sales which accounts for more than 50 percent of all travel sold. The travel agents help more than 144 million travellers to travel where they want to go each year. A study by Forrester Research found that in the first quarter of 2010, 28 percent of U.S leisure travellers who booked their trips online said they would be interested in consulting a good and traditional travel agent. Moreover, an ASTA study released earlier this year found that 51 percent of ASTA leisure-based travel agencies saw increased revenue in 2010 compared to 2009. Reed Travel Exhibitions, organiser of Arabian Travel Market, the Middle East’s premier travel and tourism showcase, has named three Mövenpick properties as host hotels for its May 2012 event, the Ibn Battuta Gate Hotel, the Mövenpick Hotel Deira, and the Royal Amwaj Resort & Spa on Palm Jumeirah which is scheduled to open in 2012. The three properties will officially accommodate the ‘Hosted Buyers’ programme, which includes top decision-makers from the leisure, golf, cruise, medical and meetings sector, as well as selected international press, attending ATM 2012. Ibn Battuta Gate Hotel, which opened in October 2010, was recently named Best New Business Hotel at the Business Traveller Middle East Awards 2011. The 293-room Royal Amwaj Resort & Spa, which is due to open in 2012, is situated on the crescent of the Palm Jumeirah. The Mövenpick Hotel Deira, is the latest five-star addition to Dubai’s ‘old town’ skyline which opened in January this year is perfectly located for corporate and leisure visitors alike, in Dubai’s original downtown. After 17 years in business, MITM Euromed and MITM Americas claim to continue on the top among all the MICE travel trade shows of any size and anywhere in the World. MITM claims to be the first travel trade show ever to be run on one-to-one pre-arranged meetings on this side of the Atlantic Ocean, back in 1996, as well as being the first one ever to host buyers for three nights and three days with a full networking programme which includes meals, receptions, a quite a novelty in Europe. All of this, topped with post-MITM fam tours, so buyers can experience each year one new destination. GSAR Marketing ads that the big MICE show were never able to provide all MITM features. So MITM has been present longer than any other MICE show – except EIBTM (under two managements) in cities of 18 countries of three Continents: from Las Vegas to Marrakech. 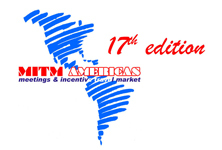 Next MITM (Americas) will take place in San Salvador, El Salvador, November 16th to 18th, 2011. The special terms have been introduced to help small enterprises get back up and running as soon as possible and will apply to more than 100 Network Rail commercial premises in London, Birmingham, Manchester, Salford and Liverpool. We have reacted to these unfortunate events and drawn up a list of vacant commercial properties which will be offered on special terms and shorter leases. Most premises will be available to occupy within 24 hours. Our main aim is to allow business to get back to normal and through our website we will list available premises with contact details. Halong Bay considered as an incredibly gorgeous tourist vacation destination is an organic wonder that attracts men and women from round the globe. Halong Bay Vietnam perform hosts to diversity of wonderful ecosystems that can stun your eyes.The excellent selection of ecosystems, supply freshwater lakes, sandy seashores, mangrove forest, swamp forest and significantly more. Working along the bay will make you garner a real existence encounter. The tale follows that a lot of dragons descended directly from heaven and then spitted furiously thus forming an all-natural fortress in opposition to all these invaders. Halong Vietnam has earned probably the most coveted title for all those fans who enjoy to find the various mysteries underneath sea. The best portion is the fact that there are lots of valuable stones which can be offered hence generating your eyes and senses Halong Bay Cruise increase wild to visit the spot and dig for an incredible excavation. Four Seasons Hotel Las Vegas is gearing up for the 12th Annual Season for a Cure Cancer Run on Sunday, October 2, 2011 at the Summerlin campus of Nevada Cancer Institute. Presented in conjunction with the Las Vegas Running Company, major sponsors include KSNV-TV Ch. 3, MIX 94.1 FM and the Las Vegas Review-Journal. All proceeds will benefit NVCI. This family-friendly event will include a 5K Run & Fun Walk as well as a 100-yard children’s dash, various children’s activities and a breakfast buffet featuring tantalising items prepared by Four Seasons chefs. “We are honoured that the Season 4 a Cure event continues to contribute substantially to cancer research efforts here in the Las Vegas Valley,” says Mark Hellrung, Four Seasons general manager.